First off, Apple no longer allows QuickTime(™) applications in the Mac App Store. As the current build of CamCamX2.app uses QuickTime(™), it can't be updated without a 64-bit rewrite to at least QTKit or AVFoundation. That's coming, but not this year (2015). Secondly, with all the crashing apps, submission time to get an update into the store is, well, lengthy. Even if we wanted to get the update to you last week, it would still be "Waiting for Review"
Make sure the most updated version of CamCamX2.app is installed on your computer (from the Mac App Store). Remove all the old CMIO drivers and the Prefs panel (FROM THIS OLD LINK). Next, download the update and drag it to the desktop. Double-click on CamCamX.app (the update). In Preferences, install the CamCamX.app CMIO drivers. If you're using CamCamX (any version, including the free version) with 10.10 Yosemite, you will need to install the QuickTime Player (free) download from Apple if you want to use videos as a fake webcam in CamCamX. We have updated the codesignature on the add-in drivers for the Mac App Store edition of CamCamX. Available for download (BLKOPCCX2MAS_esd.dmg) from our CamCamX2 (Mac App Store) page. Do not install this Pref Pane or CMIO driver unless using the Mac App Store edition of CamCamX2! Update required for OS X 10.9.5 and 10.10.x Yosemite. This update addresses the error message generated by Mac OS X 10.10 Yosemite when attempting to double-click install the CamCamX2 Prefs Pane. No other changes to the drivers. We are working on resolving problems with the Mac App Store edition of CamCamX2.app and 3rd party external USB and FireWire cameras. 1. 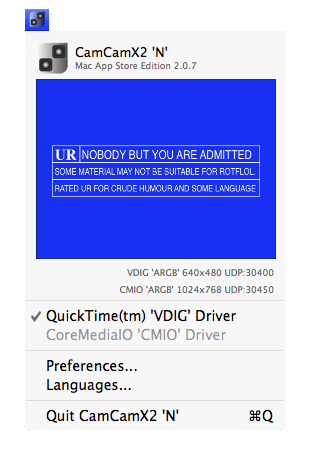 If installed, remove the QTKitVDIG.component driver (from System Preferences). 2. Open the CamCamX2.app bundle (use show package contents in Finder). If this does not solve the problem, please contact tech support. COMPATIBILITY NOTE: Safari 6.1.1 on 10.8.5 introduced sandboxing for WebKit plugins. 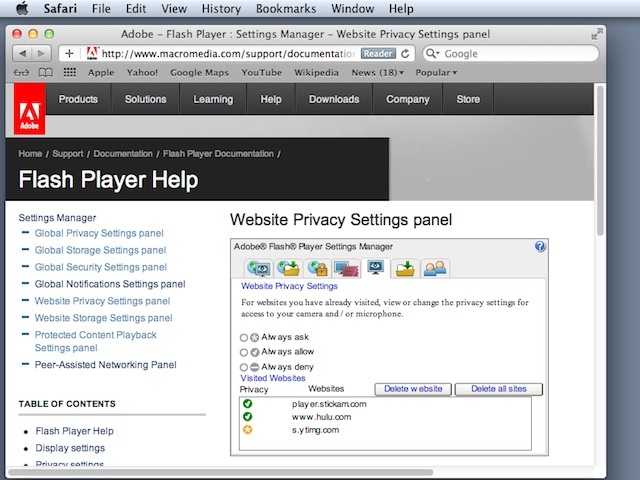 Until we have a solution for this change, please use Firefox or Chrome to stream live to Adobe Flash-enabled websites. UPDATE: Our VirtualEyez 3-camera switcher is compatible with all sandboxed versions of Safari / Flash. I guess drone technology has an upside. CamCamX2 is compatible with Mavericks 10.9. Based on our testing, CamCamX2 (MAS) works just as well on 10.9 as it does on 10.8.5. We posted a minor fix to our QuickTime(tm) driver today. The VDIG driver is responsible for routing the mixer output from CamCamX2 (Mac App Store) into any QuickTime(tm) enabled camera app. This includes most webcam apps written for Mac in the past 7 years. Recommended for all CamCamX2 (Mac App Store) customers. It's been quite a haul: months and months of nothing but IOSurfaceRef and OpenGL FrameBufferObjects with no creativity in sight. So... tonight we kicked back (a little) to run CamCamX2 through some of our favorite paces. Multi-camera live streaming mixes to any of your favorite cloud services. Anywhere you can webcam you can live mix with CamCamX. Since CamCamX2 runs in the application sandbox, there are certain scenarios which may be impossible with the Mac App Store edition. Please contact us if you need a solution. If you're running the Mac App Store Edition of CamCamX2, please contact support if you run into any problems with the live streaming drivers. We have fixes/workarounds for all scenarios. Speaking of live streaming drivers, we posted an updated version of the System Prefs pane that has been signed with our DeveloperID certificates so it meets Gatekeeper muster. If you know what that means, you know too much. If you have the Mac App Store Edition of CamCamX 2.0, please be sure to visit the support page and download the System Preferences Pane for the MAS edition. This free download from our website includes one click installers for the system drivers needed for live streaming. Historically, Skype has gone through periods where 3rd party webcam / driver support was uneven. Our customers report that the most recent (6.7) builds of Skype are not suitable for use with CamCamX 2.0. Instead, use the earlier build Skype 6.6.0.467 (released on or about July 2013) with our new CoreMediaIO (CMIO) camera driver. It seems to be working great with 10.7.5 and higher. If you're still having trouble with Skype you might consider rolling back to an even earlier (5.x) revision, as all versions of Skype client are completely interoperable. If you're having difficulty locating an official download for Skype 6.6.0.467, please contact support, we can help with that. iTunes reports that the new Mac App Store Edition of CamCamX 2.0 has been released to the store. Depending on what international locale you're in, CamCamX 2.0 should be soon available here at this link. Remember: to enable live streaming to Adobe Flash 11, Safari and most other FaceTime-camera enabled applications, you'll need to install the CamCamX2Prefs panel -- a free download from our website. The new MacBook Air (mid-2013, released in June) has a new kind of widescreen built-in camera. Click the link to download the free BLKOP QKAM driver for MacBook Air mid-2013 FaceTime HD camera support. This new driver also allows CamCamX2 and DotMatrix to open the Built-in iSight camera using "Shared Mode". You can switch between shared mode and exclusive mode. The driver is packaged in a convenient System Preference Pane. Just download the DMG and double-click to install the PrefPane and then install the VDIG component. The driver can be easily removed from the Pref pane. It's got a new AVFoundation driver that works with Adobe Flash 11.7 in a 64-bit browser and more importantly, a new icon. CamCamX 2.0 is the name of the upgrade, and registered users can purchase for $30 in the online store (you should have received a link via email). Contact us if you need to update our records with your current email address. It's still the best fake webcam on the Mac as well. New icon and fresh look without an exclamation point. Compatible with all Macs manufactured since 2006, including G4/G5. For all the deets too big for a blog post, check out the CamCamX 2.0 Data Sheet. It's multi-threaded, it's been optimized for better OpenGL performance, and it's still 100% CamCamX. Don't forget: under newer versions of Mac OS X, if you need to stream to a Flash website like Stickam or YouTube, you will need Google Chrome. This is due to the fact that our virtual camera drivers are 32-bit and Google Chrome is also 32-bit. Do you need a 64-bit browser? Why 640KB oughta be enough for everyone. If the CamCamXInput.plugin is installed in the /Library/Graphics folder, the output of the CamCamX mixer will not be available to QuickLook (Finder). Some users have reported incompatibilities running CamCamX with Safari and Flash 11. This is because Safari is now a 64-bit application and Flash 11 runs in 64-bit mode as well. 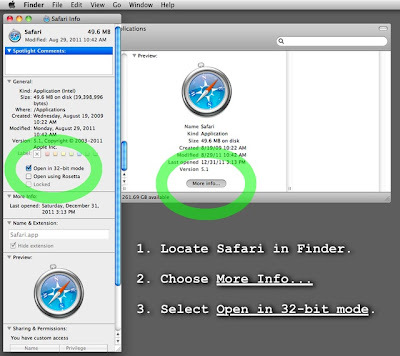 To use Safari with Flash 11 and CamCamX, you must set Safari to open in 32-bit mode. This is done in the Finder using Get Info. 1. Locate Safari in Finder. 2. Choose "More Info..." button or "Get Info..." from the File menu. 3. Select the box marked "Open in 32-bit mode." Google Chrome is a 32-bit browser. Chrome also works with CamCamX and Flash 11. There is a small compatibility glitch in the way that camera and microphone settings are accessed in Flash under Lion. The popup window that appears when you first access an online web site that requires access to your camera is unable to respond to mouse clicks. The workaround is to make adjustments to the global settings for Flash. Set the global Flash preferences for that website to "Always allow"
One of our persistent customers suggested we work on the compatibility with Mirial Softphone, a H.263 internet video telephone solution for the Mac. The standard version of CamCamX flickers badly with Mirial Softphone. We were able to diagnose the problem and have a custom fix available (1.806 support release - contact us if you need it). Version 1.805 of CamCamX is here along with full support for live streaming into any Snow Leopard QuickLook-enabled application. Look inside the Leopard Goodies folder of the installer and you'll find everything you need to stream CamCamX output live into an iChat Theater session or Finder. 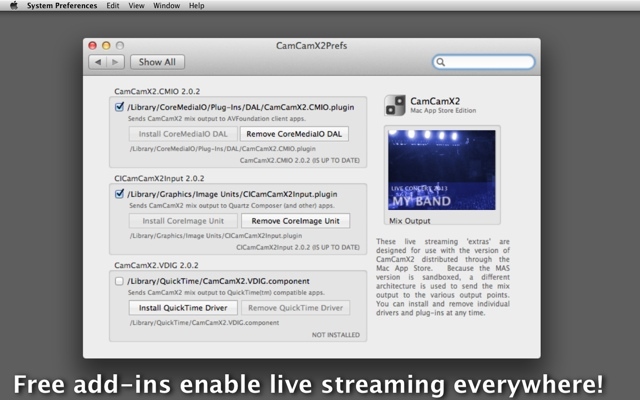 Also new in this version is CamCamX Live.mov. Start CamCamX and open this movie file in any QuickTime enabled player that can play looping movies and you've got a live output of your CamCamX mixer feed! From your insanely great friends at Black Op! WORKAROUND: Maximize the CamCamX monitor window to Full Screen and share that Desktop in Skype. CamCamX (and other BlackOp and 3rd party virtual camera drivers) have an issue with Skype 5.1.0.914. Skype needs to change the way it handles the isInUseByAnotherApplication selector for our camera driver. This issue would affect all virtual camera drivers including Google Talk etc. Starting with Snow Leopard 10.6.6, compatibility problems with QuickTime Player Pro 7 have been corrected and now you can once again record directly from the CamCamX mixer output to a H.264 (or native) movie inside QuickTime Player Pro 7. 2. Enable "Allow New Camera Connections". 3. Start/launch QuickTime Player Pro 7. 5. Choose the CamCamX virtual camera drive. 6. Under the File menu, choose New Movie Recording. QuickTime player will continue to record your mix until you click stop. You can switch back to CamCamX and operate the mixer while QuickTime records in the background. You can also do this with Quicky and Quickier (our free recording apps). CamCamX 1.701 is now available for downloading. Included in this release are important compatibility updates for Snow Leopard. In addition two new camera mix-modes are included. Side-by-side CNN style (using this mode will bring in the A-camera "still picture" image as the background. And also Picture-in-Picture, which allows you to run more traditional news stories. It's best to prep your artwork as 640x480 4:3 images for both performance and display. Also, if you have Flip4Mac or Perian installed, more types of video can be used as sources. Speaking of source video, check out keepvid.com - a site that allows you to download most youtube clips as .mp4. In general, MP4 clips are the best source format for CamCamX. We determined this experimentally by looking at the performance of various codecs. Sure, H.264 works great, but when you've got multiple cameras running and multiple webcam clients (Justin.tv and ustream.tv), it's more important to balance the CPU load by using traditional MP4. We've been able to successfully configure a 1G Macbook (White) to work with 5 simultaneous camera inputs (Two USB cameras, two external Firewire iSight cameras and the Built-in iSight). 1. Get your free license to FourEyes3D (CamCamX users can email us). 2. 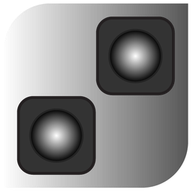 Start FourEyes3D, use the [ 1 ] and [ 2 ] buttons as a 2 input switcher. 3. Enable Rebroadcasting in FourEyes3D. 4. Start Q@amera. Open the first Firewire iSight as the input. Enable Rebroadcasting. 6. In CamCamX, select FourEyes3D as the A camera and use Camera B to switch between Q@mera and iSight #2. Some Flash-based webcam applications are using the driver description string instead of the name of the camera in the camera selection popup.